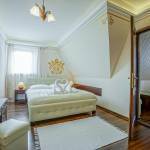 Rooms, services Guests looking for accommodation in Zakopane are welcome to book 9 nicely furnished rooms at Willa Regina Zakopane. At the villa available child-friendly services will ensure a nice holiday for the whole family. Since the villa has an own restaurant, you may also try fine local meals on the spot. If you are arriving by car, the villa will provide you a parking space without charging you any extra fees. In case you'd bring your laptop along, you may go online via wireless Internet connection (WiFi) available at the villa. If you wish to learn more about the exact scope of services provided by Willa Regina Zakopane (including any available for an extra fee) or about the equipment of the rooms, you will find them on the information sheet below and on the information sheet of the selected room. Location Aqua Park is located 2 km away. Payment The following methods are available to pay the reservation: cash, bank transfer. 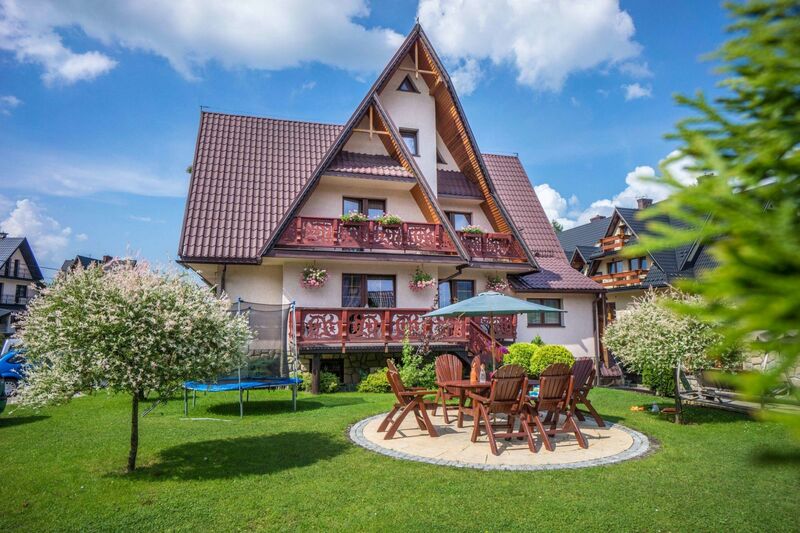 Willa Regina Zakopane is asking for 40% advance payment. Arrival, opening hours The earliest time of check-in is 16:00, the latest time of check-out is 11:00. The personnel of the hotel can speak in English and Polish with you. Max. capacity: 5 persons: 4 adults and child(ren) under 4. 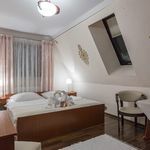 The rating of Willa Regina Zakopane is 9.8 from the maximum 10, 22 based on actual and valid guest ratings and reviews. Based on the reviews and comments of actual guests, the services of the Willa Regina Zakopane have received a high rating of 9.7/10.